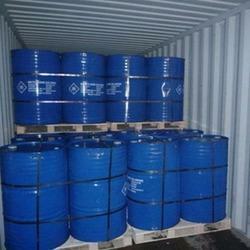 Prominent & Leading Exporter from Pune, we offer trichloroethylene and solvents. Trichloroethylene is a solvent and extractive in the manufacture of foods. One recent review of the epidemiology of kidney cancer rated smoking and obesity as more important risk factors for kidney cancer than exposure to solvents such as trichloroethylene. In contrast, the most recent overall assessment of human health risks associated with trichloroethylene states, "[t]here is concordance between animal and human studies, which supports the conclusion that trichloroethylene is a potential kidney carcinogen". The evidence appears to be less certain at this time regarding the relationship between humans and liver cancer observed in mice, with the NAS suggesting that low-level exposure might not represent a significant liver cancer risk in the general population. The chemical compound trichloroethylene is a chlorinated hydrocarbon commonly used as an industrial solvent. It is a clear non-flammable liquid with a sweet smell. The first known report of TCE in groundwater was given in 1949 by two English public chemists who described two separate instances of well contamination by industrial releases of TCE. With firm commitment towards quality, we are engaged in manufacturing, supplying and exporting a wide range of All Types Of Solvents. 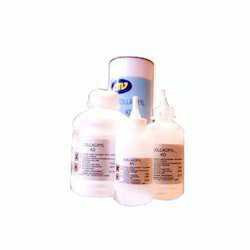 The solvents offered by us are used in industries. We also test these solvents on various well-defined parameters so as to ensure their adherence with international standards and norms.